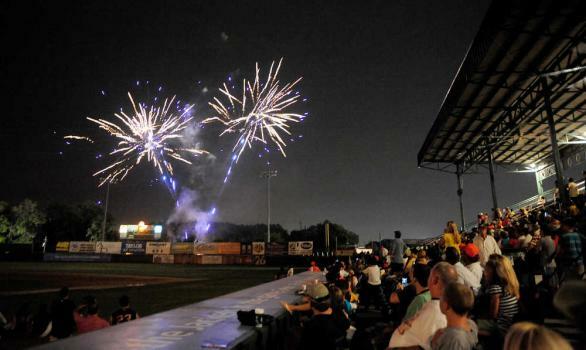 Gates open at 3:00 pm, and the event starts at 5:00 pm. 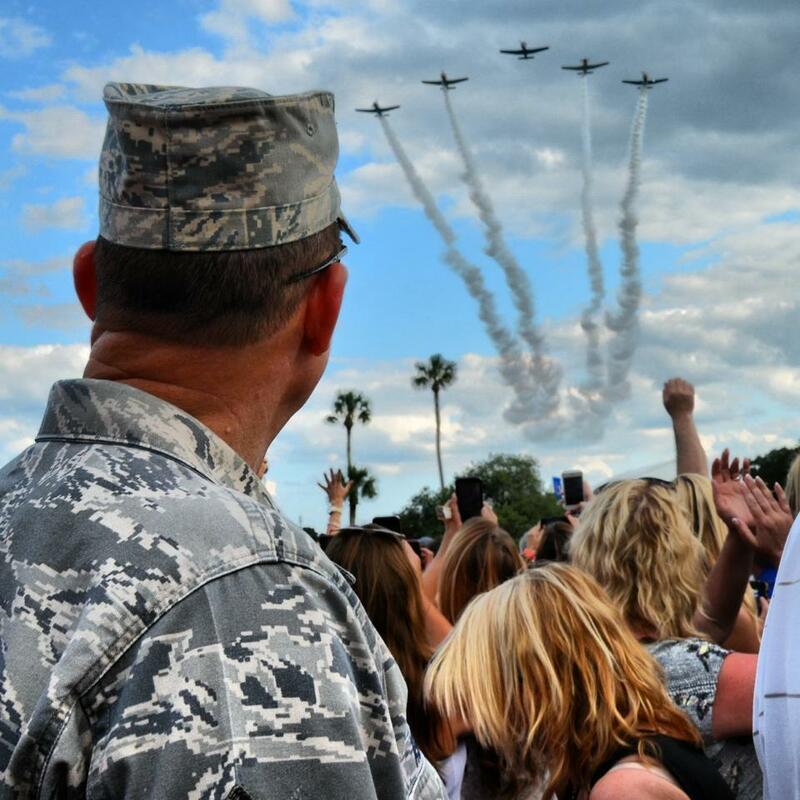 Come early to browse displays of military vehicles and get free haircuts by Great Clips! From his Dove Award winning gospel albums to his genre-defining Southern rock anthems and his CMA Award-winning country hits, few artists have left a more indelible mark on America’s musical landscape than Charlie Daniels. An outspoken patriot, beloved mentor to young artists and still a road warrior at age 80, Charlie has parlayed his passion for music into a multi-platinum career and a platform to support the military, underprivileged children, and others in need. 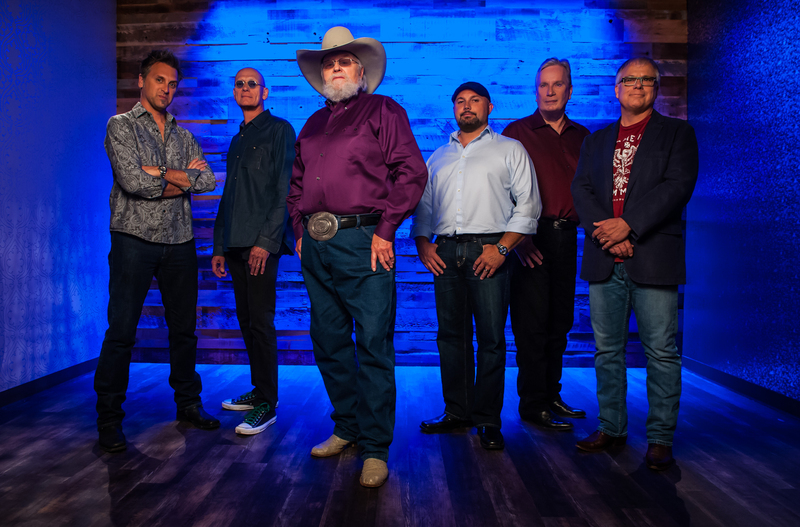 For more information on The Charlie Daniels Band, visit www.charliedaniels.com and engage with him on Facebook, Instagram, and Twitter. 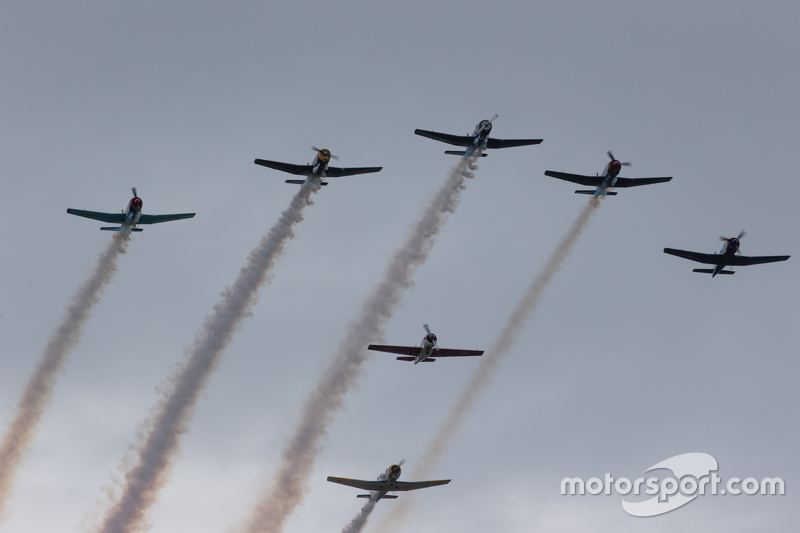 “Ladies and gentlemen, performing today’s aerial tribute is The Warbirds Flyover Team. 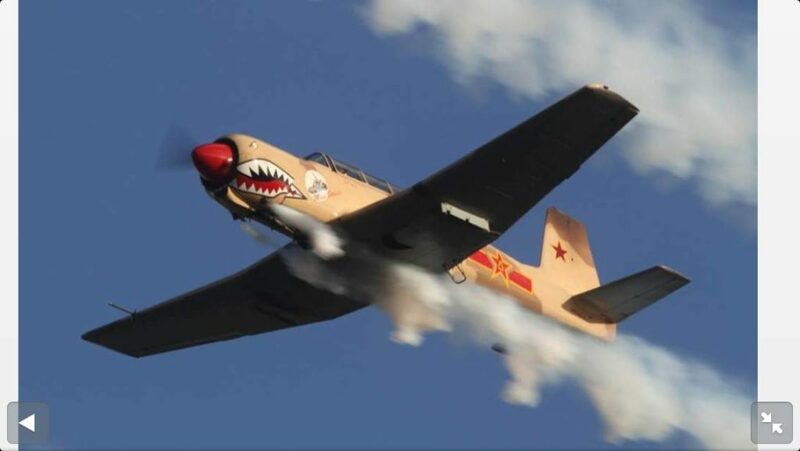 Specializing in precision formation, The Warbirds are led by former Naval Carrier aviator and combat veteran, Hank Gibson of Jacksonville, Florida. A Naval Academy graduate, he flew the A-7 Corsair and FA-18 Hornet strike aircraft and has arrested landings aboard 7 different aircraft carriers. 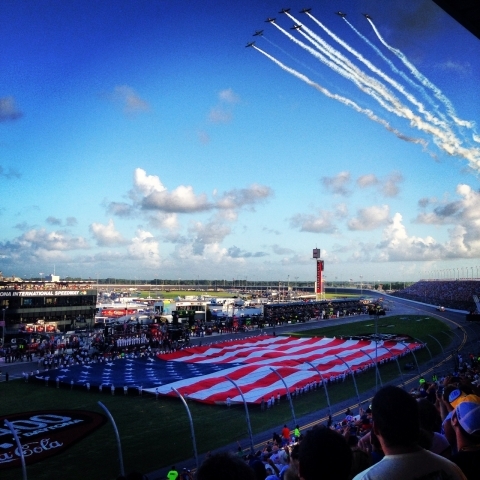 Now a corporate pilot, Hank and his team perform National Anthem flyovers for the NFL, NCAA, NASCAR, PGA and other corporate entities and Veteran’s groups. Team members are all veterans of the uniformed services and truly understand the dedication and sacrifice that our men and women are making daily worldwide. 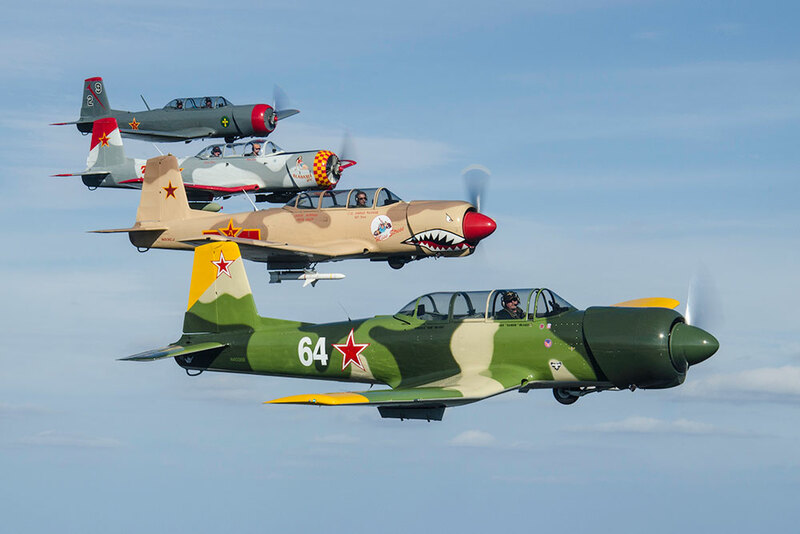 Flying the post-World War II Nanchang CJ-6 and YAK-52, the popular radial engine powered military trainers which we call the “trophies of the Cold War” make the crowd pleasing distinctive rumble of yesteryear and make a terrific formation platform. 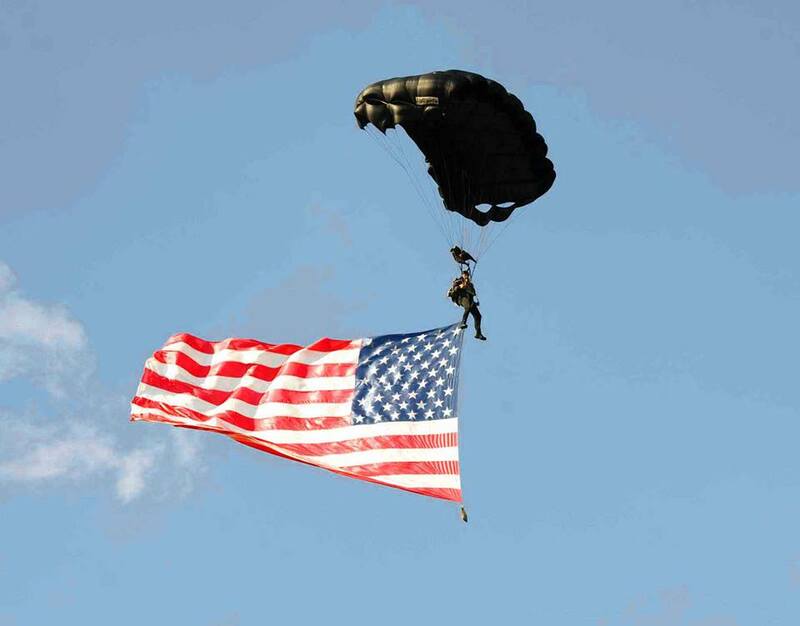 Today we celebrate the freedom of flight and honor all of those who have paid the ultimate sacrifice in the defense of our great nation and way of life. 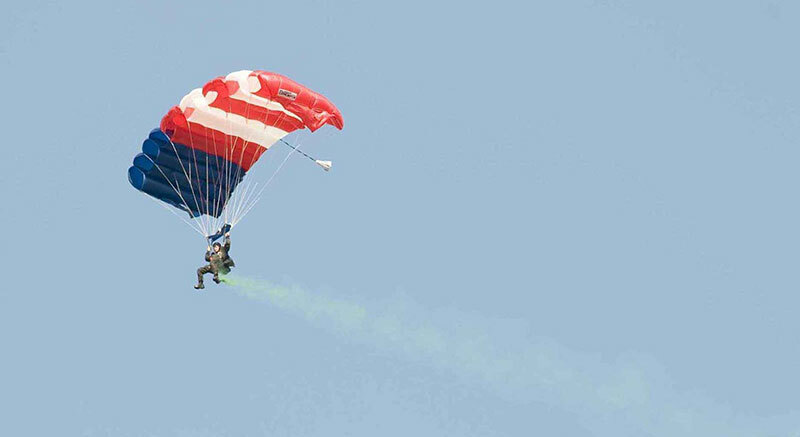 The other pilots today are Richard Langer from Ocala, Florida – Jimmy Burke from Lawrenceville, Ga – Matt Lazar from Carrolton, GA and Wayne Altman from Savannah, GA.
To provide a nucleus of professional parachutists who are highly trained and equipped to perform freefall parachute demonstrations in support of local and national venues. 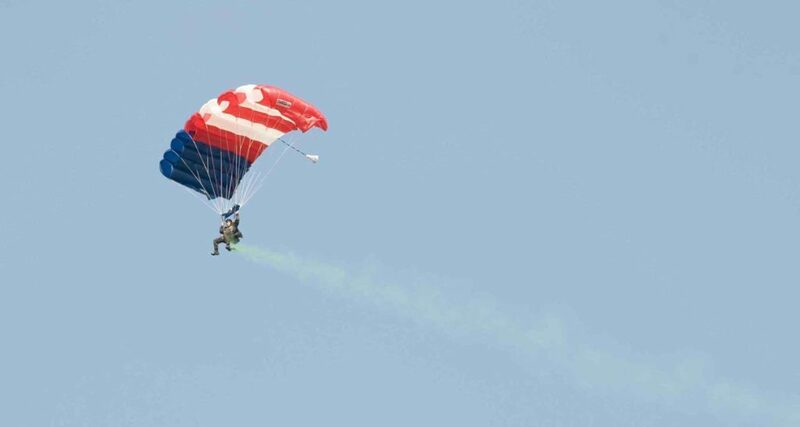 The team consists of active duty military, retired military, and includes current Department of Defense support elements. 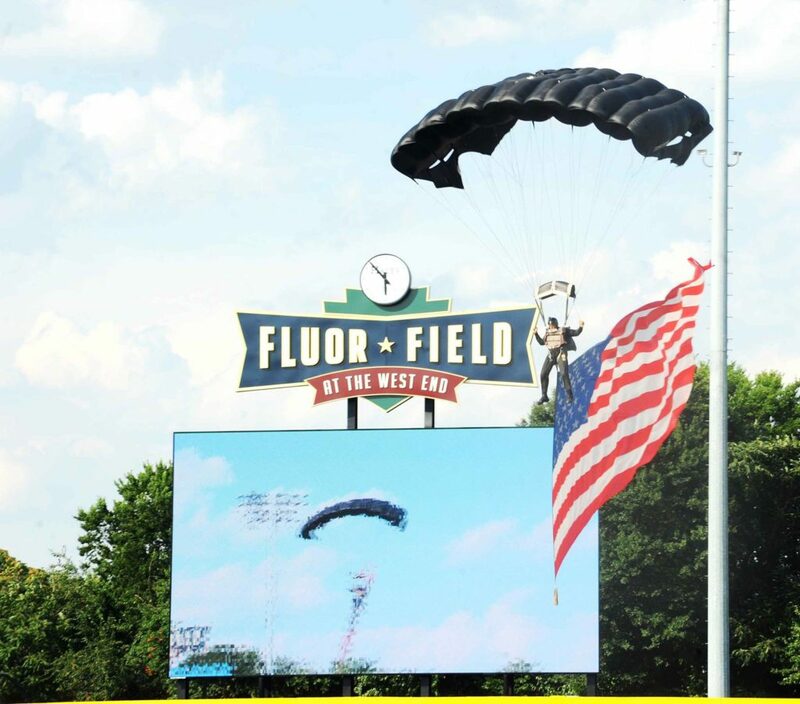 Our main emphasis is to enhance the image and heritage of the US Army Special Forces, past and future. We are a first come first serve team. The team is a 501 (C) (19) nonprofit tax exempt organization.